Tonight San Francisco observed "Earth Hour", an international celebration of freezing in the dark. Or something. 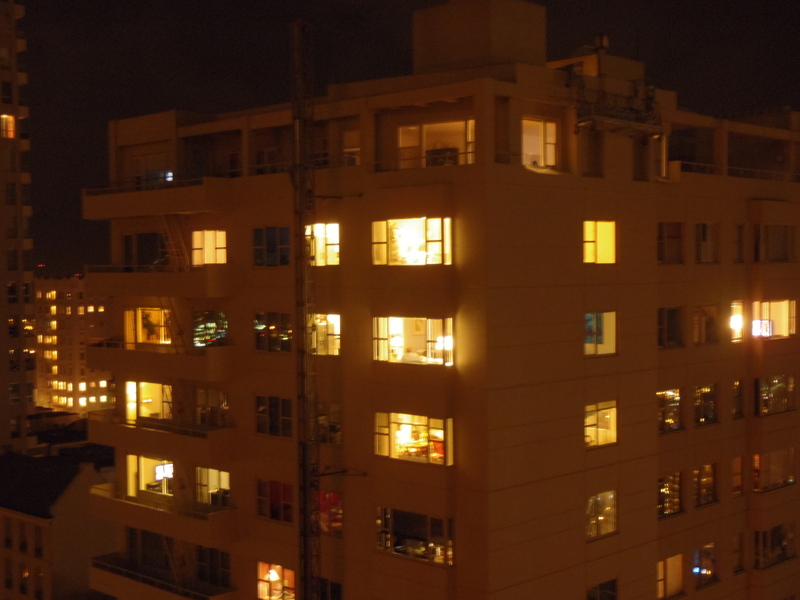 During the hour of 8:30 - 9:30 P.M. local time, people all over the world turned off unnecessary lights. The at 9:31 PM people all over the world turned all their unnecessary lights back on. I dunno. maybe we are just not as Progressive in the City by the Bay as we think we are. Time to open those reeducation camps? Perhaps. I understand that they did turn off the lights on the Golden Gate Bridge and at City Hall. Now that was something I could get behind. But unfortunately, they did turn them back on. 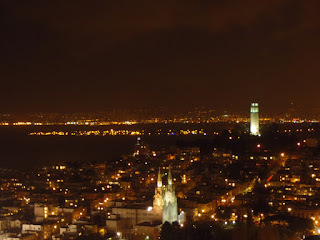 The only difference I noted from here, is they turned off the lights illuminating the water tower being repaired on Alcatraz, but left the revolving spot light on, as did the illuminated Coit Tower. Probably safety related concerns for both landmarks. It's kind of an environmental "truthiness". 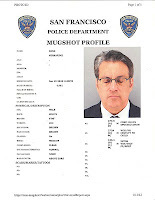 Your loyal blogger has been transfixed in recent weeks by the unfolding saga of our recently elected Sheriff Ross Mirkarimi and his firecracker Venezuelan wife - telenovella star Eliana Lopez. 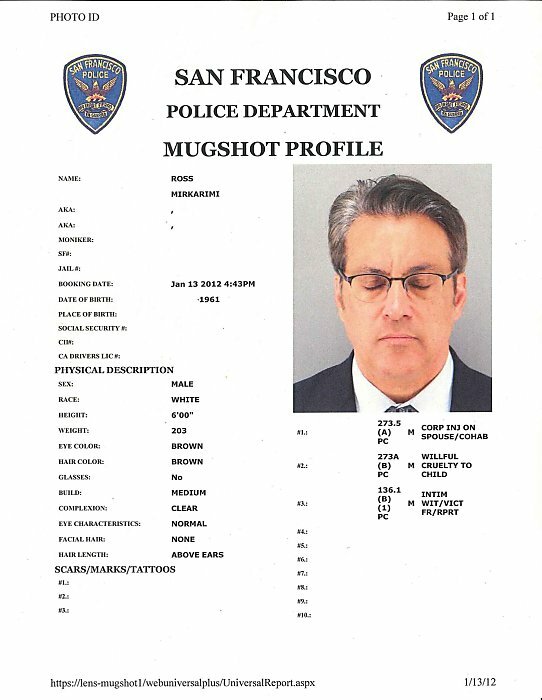 Several times I started to knock up a blog update only to be stopped short by new plot twists, an "only in San Francisco" character, or breaking news. Finally I realized a mere blog post can no longer encompass the epic scope of this unfolding morality tale. Cross posted from my other blog. posted March 27, 2012 at 11:29 am EDT Big Bay, Mich.
Jeff TenEyck was glad to come home last year. He had left Michigan for a small trucking business in South Carolina but returned to work at a new mine just outside Big Bay, the little mill town where he grew up. "This is the biggest shot in the arm for the economy here since Henry Ford was here," says Mr. TenEyck, whose grandfather worked in a lumber mill that Ford bought in 1943. Driven by a worldwide surge in demand for metals, mining is on the rebound in Michigan's Upper Peninsula, bringing the hope of jobs to remote and economically depressed rural communities. A dozen miles south of Big Bay, London-based mining giant Rio Tinto PLC and its subsidiary, Kennecott Eagle Minerals Co., are digging a shaft beneath a pine-covered flat called the Yellow Dog Plains. They plan to begin extracting nickel and copper early next year. Rio Tinto says the Eagle Mine will be the largest nickel mine in the country and will create as many as 700 new jobs. 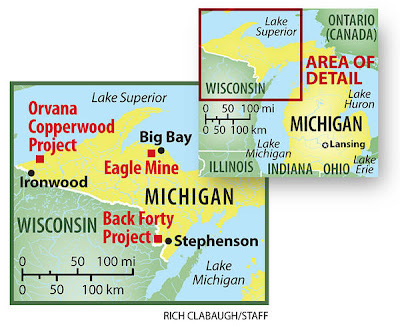 Meanwhile, Orvana Minerals Corp., a Canadian mining company based in Toronto, is close to final approval for a copper mine expected to create hundreds of jobs in the sparsely populated western Upper Peninsula. Next in line, Aquila Resources Inc. and HudBay Minerals Inc. plan to apply for a permit later this year to mine zinc, gold, and silver at a small, open-pit mine along the Menominee River called the Back Forty Project. There could be more. Mining companies have been busy prospecting for new deposits, crisscrossing the Upper Peninsula by plane and helicopter, drilling exploratory holes, leasing land, and buying up mineral rights. They've revisited old mines to see if new technology might make it profitable to reopen them. "It's like flies to honey," says Theodore Bornhorst, professor of economic and engineering geology at Michigan Technological University in Houghton. "It's got a lot of people interested." Kind of a stupid headline. The answer is "Both". I just hope the Eagle Mine doesn't screw up the trout streams or the Coaster Salmon run on the Yellow Dog plain. I have some hope that they'll tread lightly as they will also be mining under the exclusive and wealthy Huron Mountain Club. They have skin in the game and a historic stake in protecting the watershed and wilderness. It's big money vs. big money. Sometimes it works better that way. 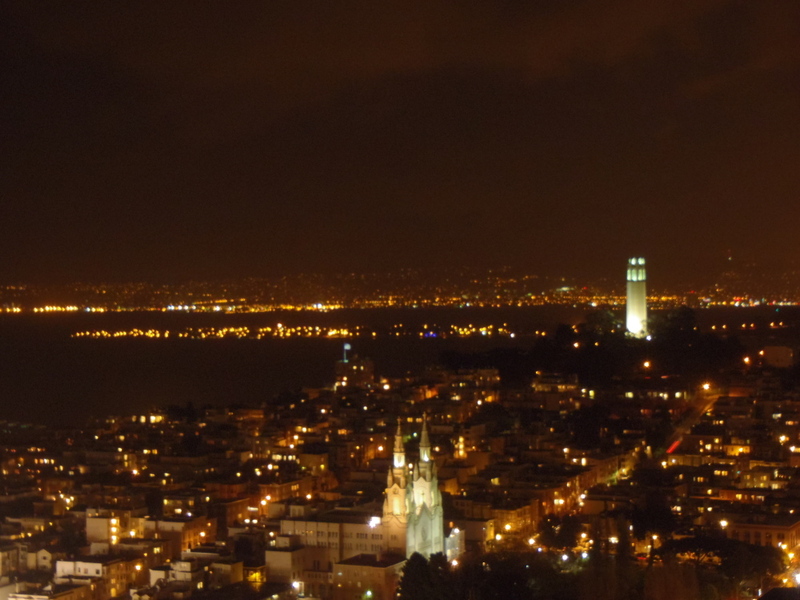 We had a blackout for about 2 hours on Russian Hill tonight. This is stitched from 3 pics, taken from The Summit at the corner of Green and Jones, looking west down Green Street and north toward Fisherman's Wharf. That dark foreground is residential and usually as lit up as in the neighborhoods in the distance. 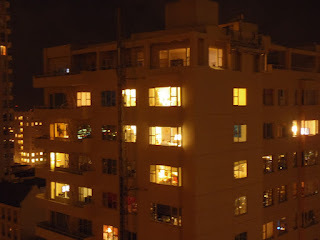 Our three neighboring highrises were as dark as The Summit, with only emergency lights in the common areas. It looked like about six blocks in our neighborhood were affected. Here is the scary part. We were completely without internet access for two solid hours. Well, except for one slim tether from my android phone via the Sprint network. I'm not sure it was even 4G. What a terrifying experience. Of course we reacted as would any San Franciscans, by calmly setting priorities and taking immediate action. We opened the Chardonnay in the refrigerator, thinking that if the blackout lasted more than a few hours, we should drink it while it was still cold. Fortunately the ordeal was over by the time we finished the bottle. It was a close call. By mutual agreement, no scores from this round will ever be revealed. My only decent drive of the day. Roy wins this one with another bogey. That is still so wrong. Bob hits it to 6 feet, but 3 putts. ...with bob and roy. We are missing a unreliable golfer.